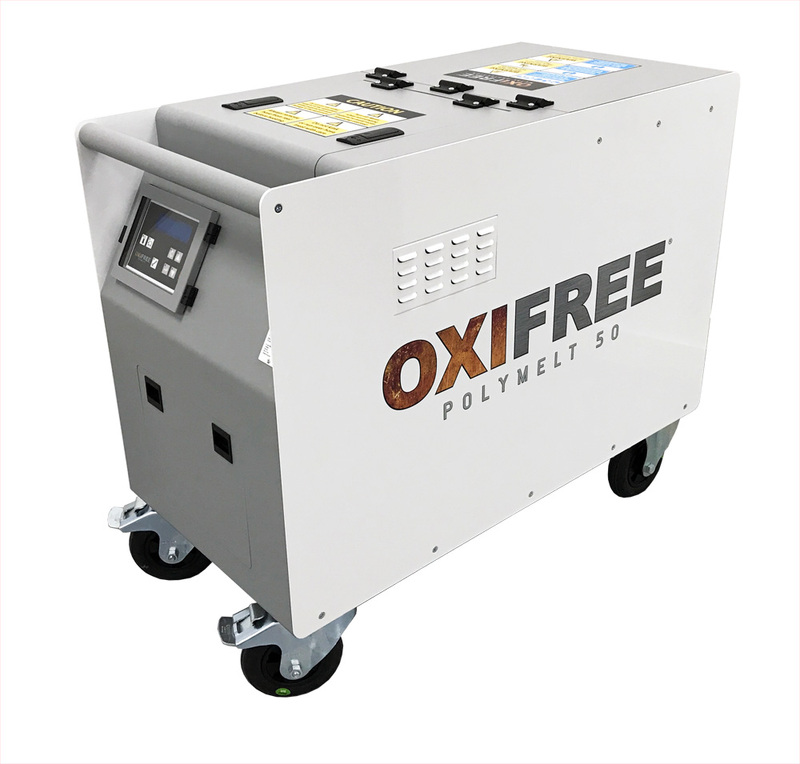 The Polymelt 50 was designed for the purpose of melting and pumping Oxifree Metal Protection polymers only. Greater levels of sustained working application of the Oxifree TM198 material. Totally self sufficient without the need for a separate compressor to pressurise the expelled material. Machine usage and pump usage hour meters to provide information for maintenance planning. The machine is housed in a rugged aluminium enclosure. Soft wheels allow for impact/shock resistance across bumpy terrain.